MP Denmark produces socks and pantyhoses of the highest quality. 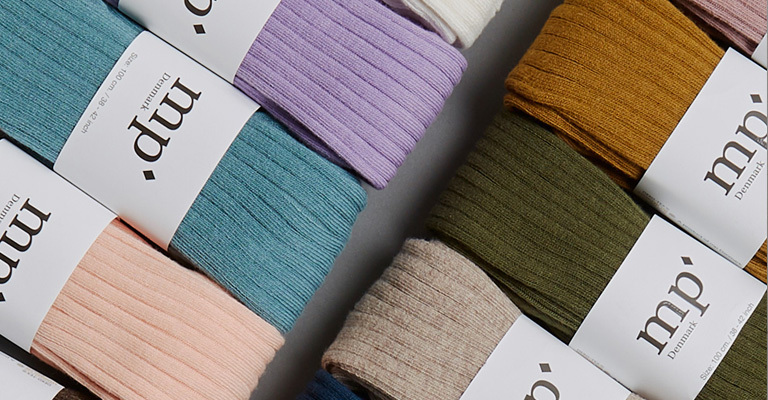 The use of brushed cotton gives their socks a special structure and particularly soft feel. It is very IMPORTANT, that the socks are washed before they’re worn for the first time, because it makes them less slippery and more durable. All wool products can be machine washed. Behind the brand MP Denmark is the Martin Pedersen Strømpefabrik A/S, which was founded in the year 1937.